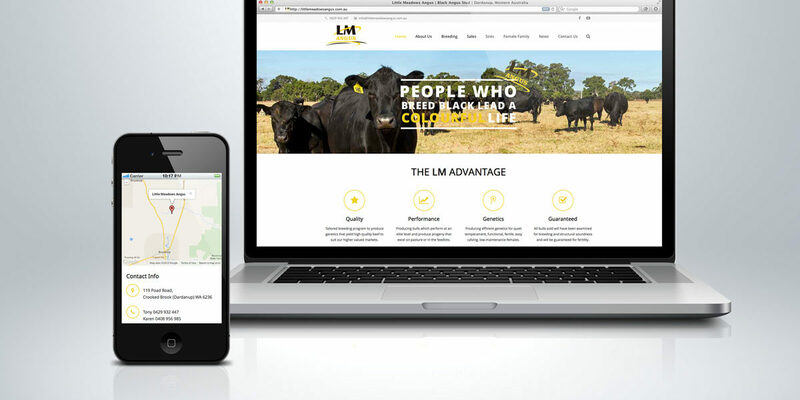 I was asked by Tony Golding to design a website for Little Meadows Angus – a black angus stud in Dardanup, Western Australia, after their previous designer was experiencing extensive delays in completing the project. We were referred to Tony by a current client, Jayden Edwards of JP Edwards Plumbing & Gas who has been more than pleased with the long-term performance of his website and the positive outcome it has had on the demand for his plumbing services. Tony had a deadline for the site to coincide with the launch of their 2015 Pre-Sale Promotional Video – which was also carried out by Personify for the 2nd year running. Personify pulled out all stops to complete the website in time for the video launch, and with a result that surpassed the expectations of our clients.